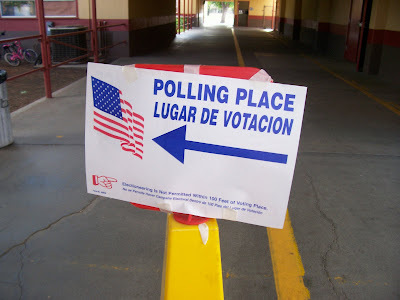 As I took my ballot to a booth, I had butterflies in my stomach. This is the fourth presidential election I've voted in, and the first time I've been so very excited. I bubbled in my ballot and sealed it into an envelope, collected my "I Voted" sticker and proudly stuck it on my sweater. 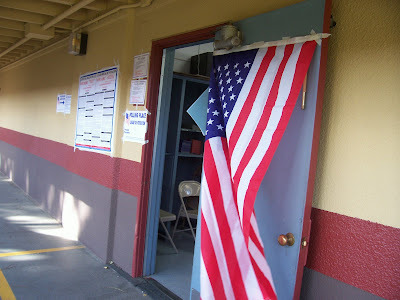 As I returned to my car, I really felt like a cool American for exercising my right to vote. My middle school students tried to badger me into telling them who I voted for. 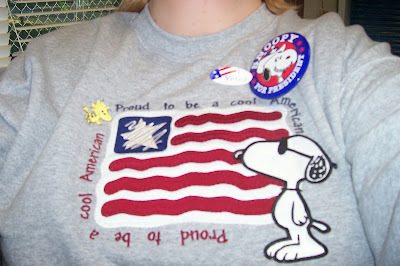 I gave them my best Mona Lisa smile, pointed to my button and replied, "Snoopy." They tried to trick me into telling them what Snoopy was code for. I just smiled again and said, "Snoopy." Now I'm home, with BBC America's election coverage on behind me, and reading all of my favorite sites. History is being made today, and I'm so excited to be a part of it!